This short biography of Alexander Mackey [1849-1890] is one of Paternoster Press’s “Memoir Series of Might Men and Women”. My thanks to Redcliffe College for providing me with a copy of this book for digitisation. This title is in the public domain. October 13th, 1849, in the village of Rhynie, near Aberdeen, a little boy was born. He was Alexander Mackay, whose life was so closely interwoven with African Missions, ·and who, later, was known as Mackay of the Great Lake-Victoria Nyanza. At the time of his birth it was bitterly cold and snowy in the windswept valley at the foot of those stem Scottish hills. Rhynie lies in the beautiful level below Tap O’ Noth. Alec’s father was minister of Rhynie Free Church. The rugged-looking little house in wh:ch Alexander Mackay was born is still standing, an object of great interest to those who revere the intrepid preachers of the Gospel among the heathen. In 1851 the new Free Church was building close to the Manse, and the little boy was busy every day with trowel and mortar, among the stones. The workmen loved to have him there…. The history of the Bible Churchmen’s Missionary Society, now Crosslinks, from 1922-1947. The book includes several photographs and maps showing the locations of the mission stations in India, Iran, Ethiopia, Uganda, Canada, Morocco and Burma. Reproduced by kind permission of the copyright holder Crosslinks. This PDF can be used for free educational purposes, but not sold for profit without written permission from the copyright holder. This history has been entrusted· to one who did not take part in those inner councils which germinated and eventually directed the life of B.C.M.S., but who watched with sympathetic interest from an independent position the founding of a new Society based upon the wholehearted acceptance of the trustworthiness of the Word of God written and the Word of God Incarnate. And the object of this history is simply to give Glory to God without Whose enablement and guidance the whole effort would have expired ignominiously. But Divine Grace manifested in the gift of a practical Faith engendered a “don’t-careism” concerning the things of Time, so necessary to the launching of a new witness to Truth amidst almost universal opposition…. This is an account of a four thousand mile motor tour of central Africa on behalf of the British and Foreign Bible Society c. 1934. My thanks to Redcliffe College for providing a copy of the book for scanning. This title is in the public domain. This is just a story! It is not a history, or a survey! It is the “Log of· the Lingua,” the Bible Society’s motor that tours East and Central Africa. The story may give more of the sunshine than the shadow of missionary life, but is it not the joy after pain that gives the urge, the inspiration, the vision that carries the missionary on through the gross darkness of heathenism, and that more subtle darkness that comes from the impact of our – so – called – Western civilisation? That civilisation may have a refined centre. It has a very rough circumference. Africa is feeling that roughness in its intensity. Daniel Miller [1888-1965] was the Deputation and Editorial Secretary of the Africa Inland Mission (A.I.M.). In the 1930s he undertook a 16,000 mile tour of A.I.M. stations in Africa and this book records what he found. My thanks to the team at Africa Inland Missions’ UK office who established that no living descendant of the author could be located. If anyone knows who might have inherited the rights to this title, please contact me. My thanks to Redcliffe College for providing me with a copy of the book to scan. Albert Lloyd, the Archdeacon of Western Uganda, writes here about the work of the Church Missionary Society in that country. My thanks to Redcliffe College for providing me with a copy of this book. This book is in the public domain. In the minds and affections of the home Church in modern days the place of Uganda has been unrivalled. It has been a name to conjure with. The early heroes and martyrs, whose names are now household words in English Christian circles; the action of the Church, good or otherwise, in saving Uganda for the Empire; the phenomenal progress of Christianity; and the testimony alike of travellers, statesmen, and traders, as to the real uplift of the people-all ·these have conspired to give Uganda a unique position. The country, however, has done more than attract attention to itself; it has stimulated interest in the missionary cause everywhere and put fresh vitality into men’s faith in Jesus Christ. 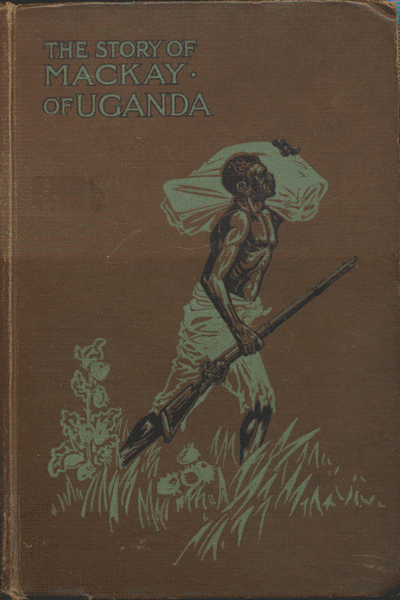 This is a heavily illustrated history of Nineteenth Century Missionary work in Uganda undertaken by the Church Missionary Society. My thanks to Redcliffe College for providing a copy to scan. This book is in the Public Domain. This little book, written at the request of the. Staff of the Editorial Department of the Church Missionary Society, is the fruit of the observations of less than two years spent in Buganda, with a necessarily elementary acquaintance with the language and customs of the people. It has been written ‘in the spare and odd moments of a busy life, and for these reasons is sure to be incomplete. 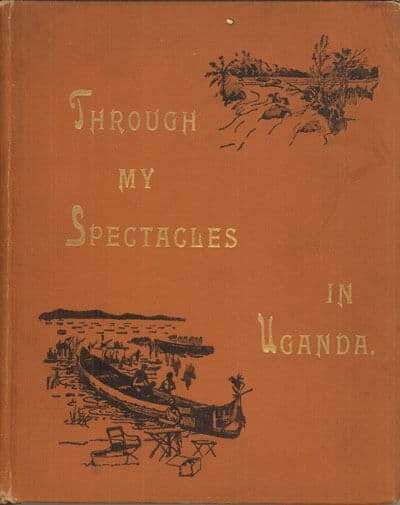 Nevertheless, through the .kind .corrections and revision of Mr. G. L. Pilkington, for which I am most grateful, this work may be regarded as being accurate so far as it goes, for no European is more thoroughly acquainted than Mr. Pilkington with the language, history, and customs of the Baganda. 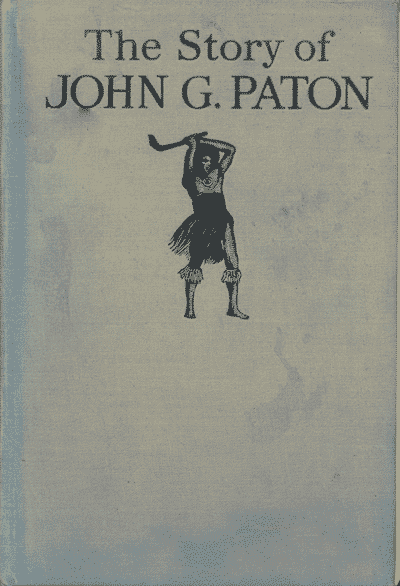 John G. Paton’s story of work among the cannibals of the New Hebrides was a remarkable one and one which deserves to be shared widely. I am therefore am grateful to Redcliffe College for giving me access to their extensive collection of books on the subject which will enable me to do so. This title is in the Public Domain. The Last Dread Night – But Saved! My early days were all spent in the beautiful county of Dumfries, which Scotch folks call the Queen of the South. There, in a small cottage, on the farm of Braehead, in the parish of Kirkmahoe, I was born on the 24th May, 1824. My father, James Paton, was a stocking manufacturer in a small way 1 and he and his young wife, Janet Jardine Rogerson, lived on terms of warm personal friendship with the “gentleman farmer,” so they gave me his son’s name, John Gibson; and the curly-haired child of the cottage was soon able to toddle across to the mansion, and became a great pet of the lady there. While yet a child, five years or so of age, my parents took me to a new home in the ancient village of Torthorwald, about four and a quarter miles from Dumfries, on the road to Lockerbie. At the time, Torthorwald was a busy and thriving village, and comparatively populous, with its cottars and crofters, large farmers and small farmers, weavers and shoemakers, cloggers and coopers, blacksmiths and tailors. I am very pleased to be able to add another biography of Alexander Mackay to the Missiology website – this one written by his sister. My thanks to Redcliffe College for providing me with a copy of the book to scan. This title is in the Public Domain. It was the year 1849, in Aberdeenshire. Summer and autumn had gone, the birch and the rowan were stripped of their leaves; the gowan was no longer under the foot; and the yellow broom and the purple heather were looked for in vain. True. Tap o’ Noth still towered his majestic head above Rhynie village, but this morning he seemed to have wrapped himself in his ermine mantle, for with the exception or here and there a rough-walled, low-thatched cottage, or a crag or two projecting from his side, from summit to base he was white, snowy white.